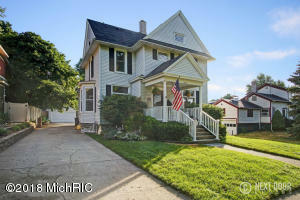 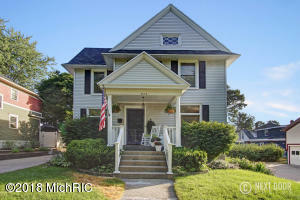 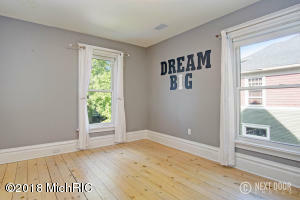 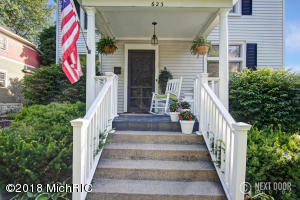 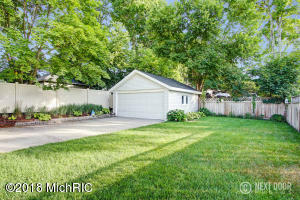 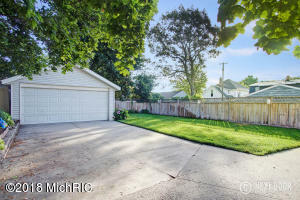 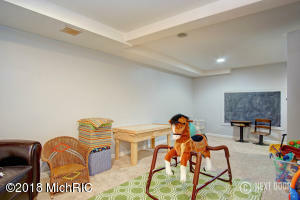 Great opportunity in the heart of downtown Grand Haven. This turn of the century home has all the character you would expect. 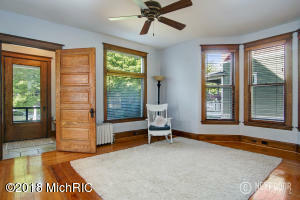 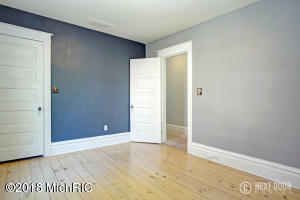 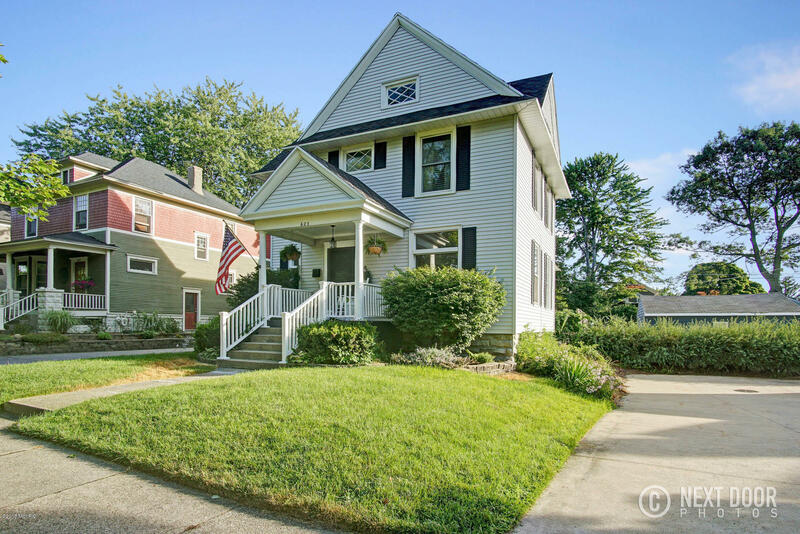 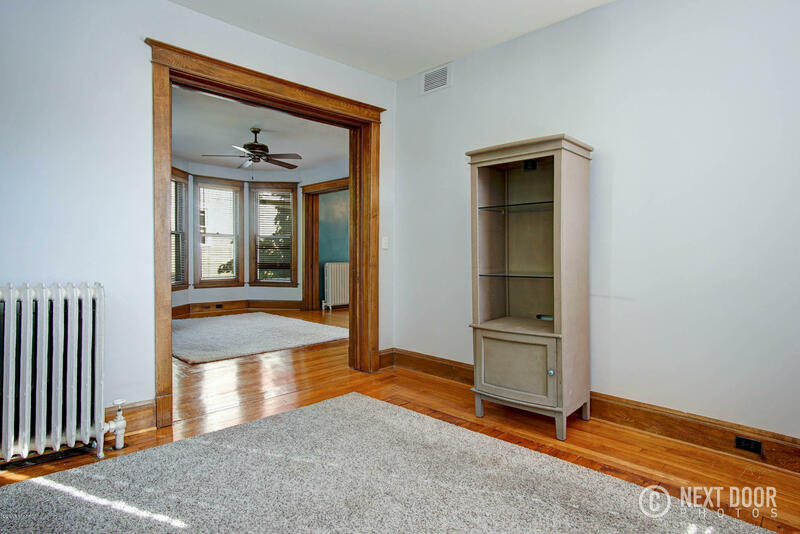 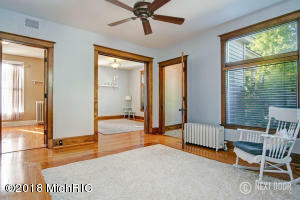 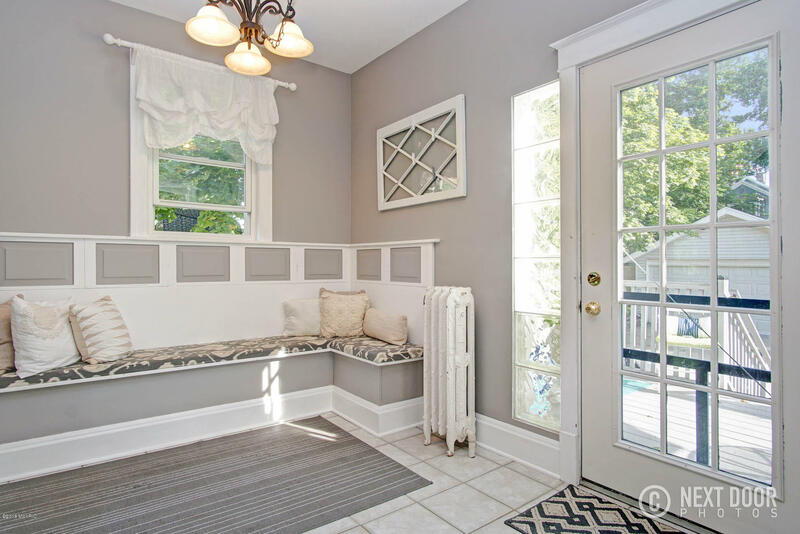 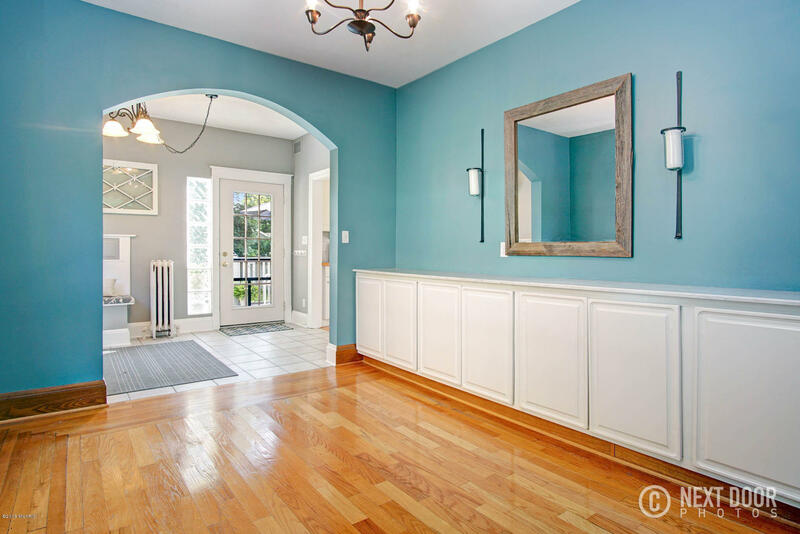 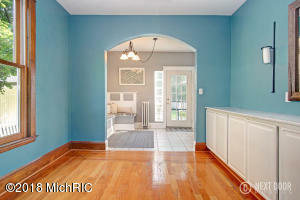 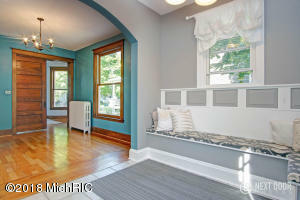 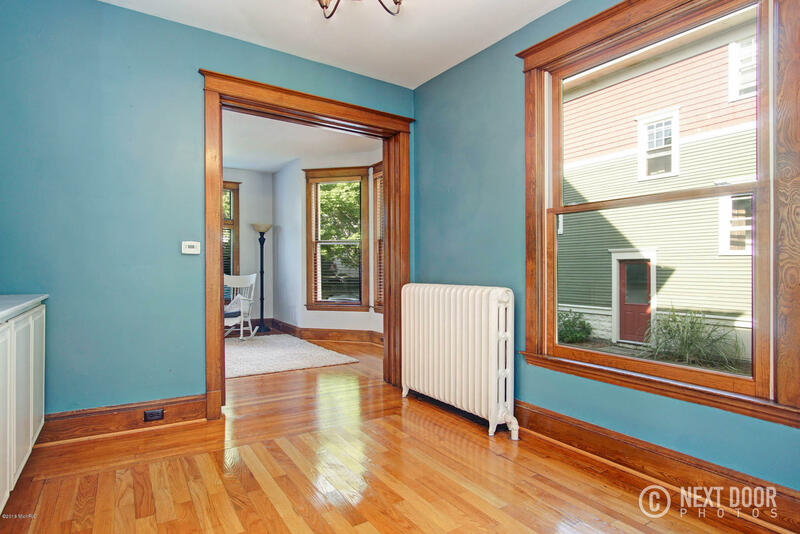 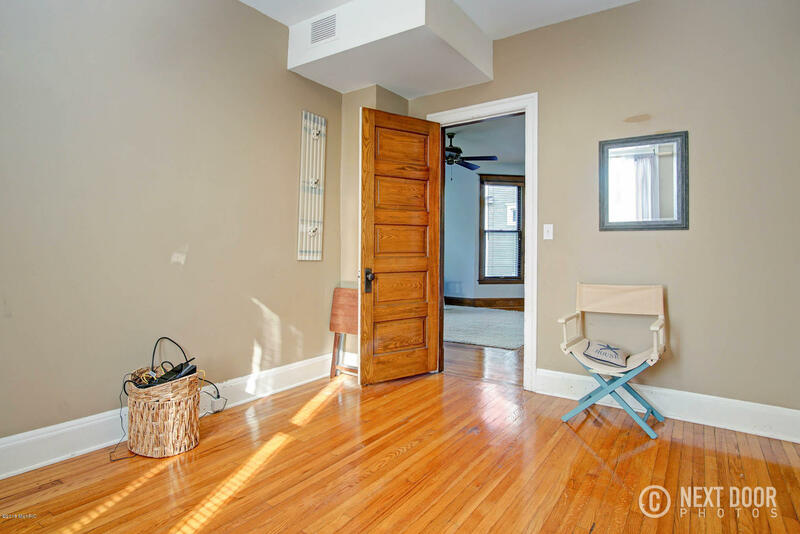 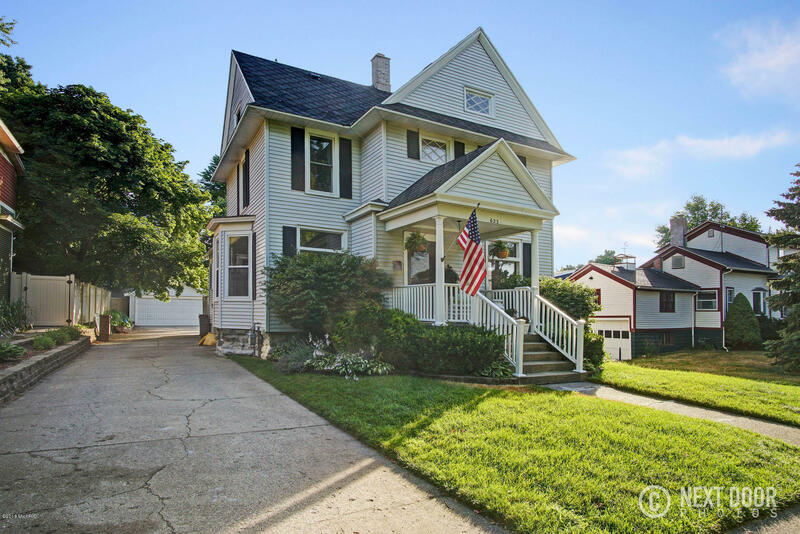 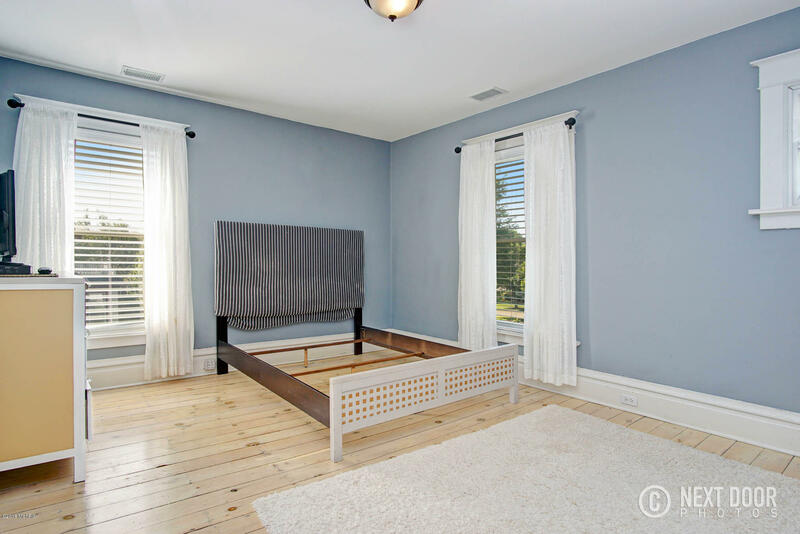 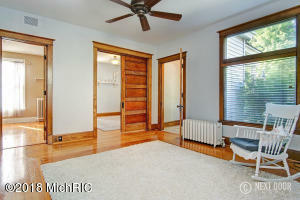 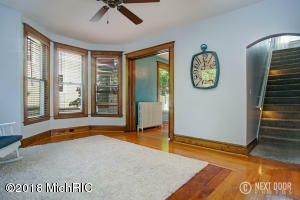 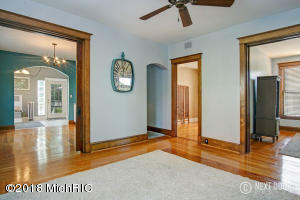 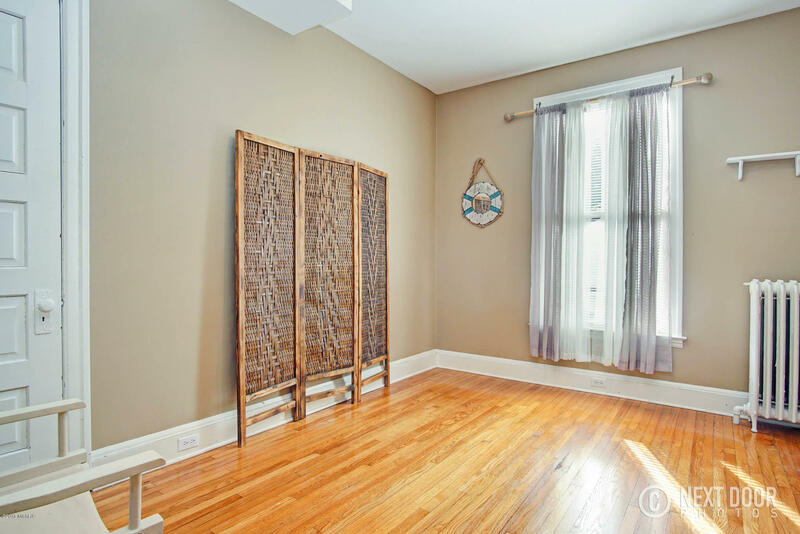 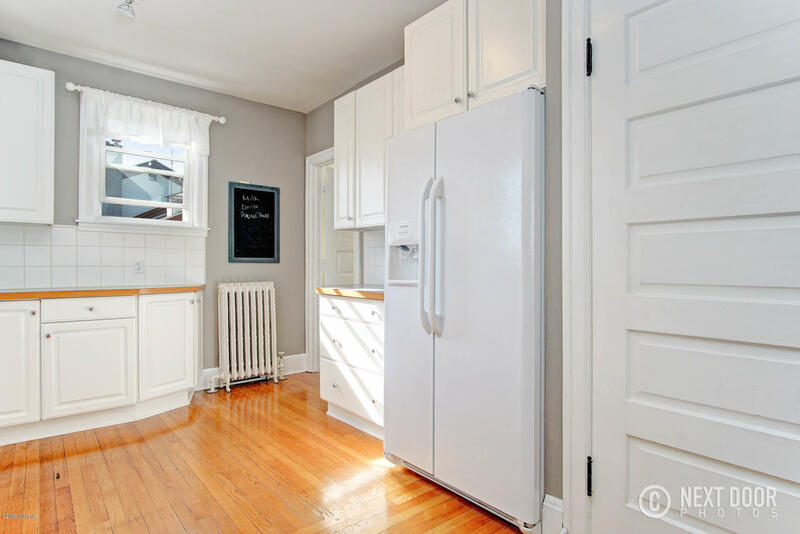 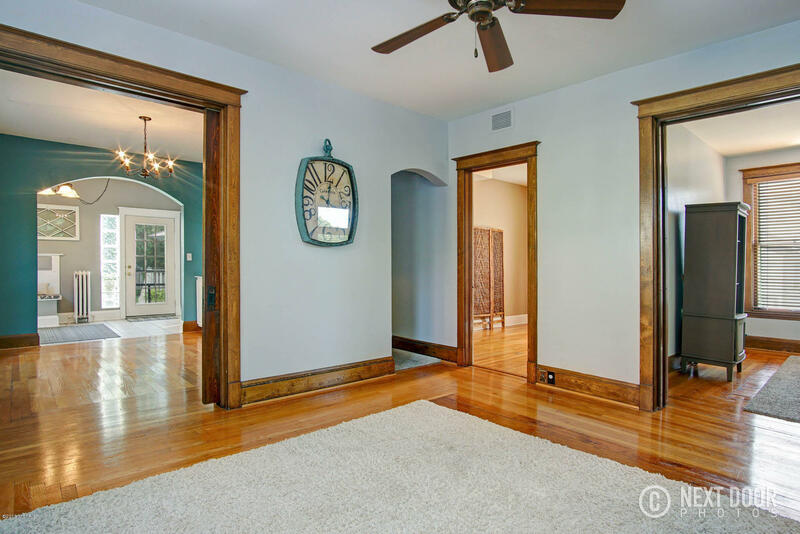 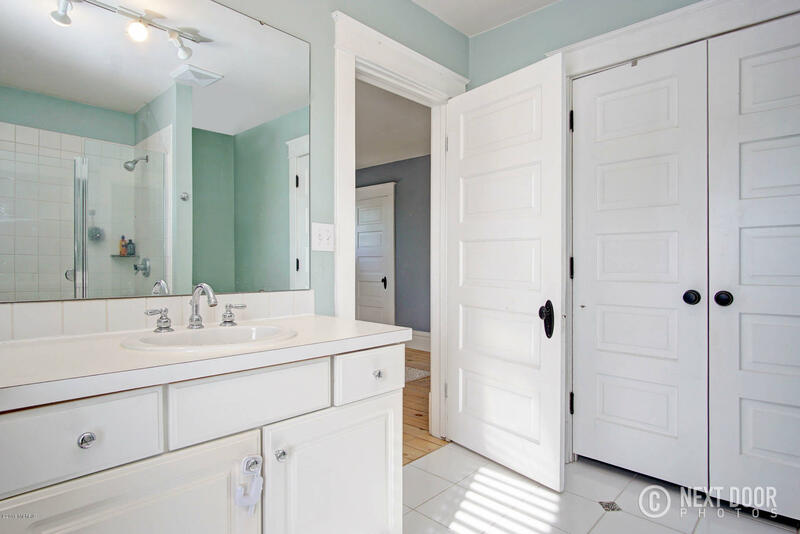 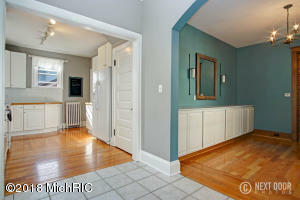 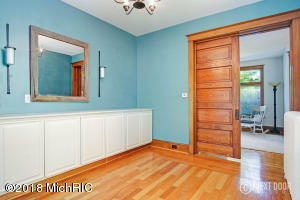 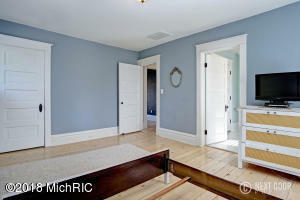 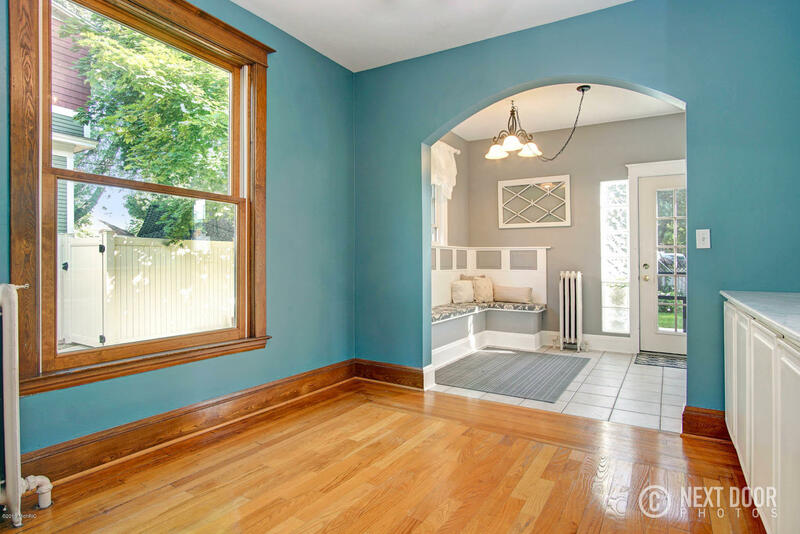 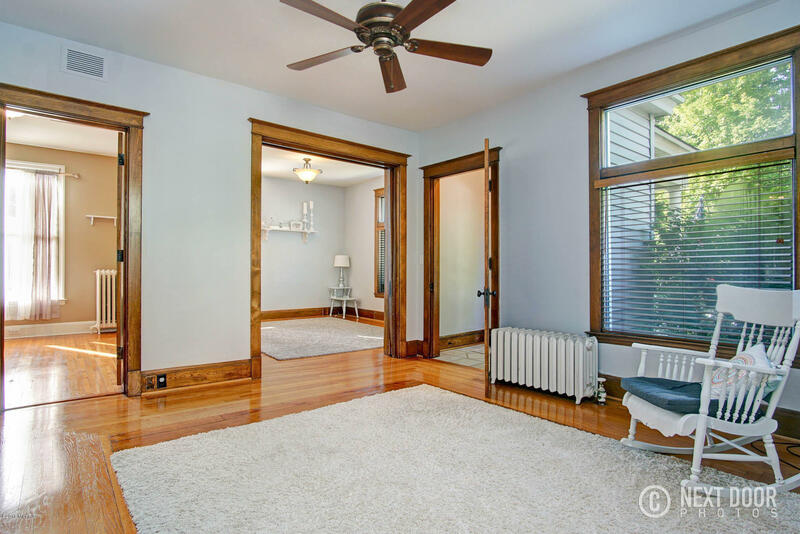 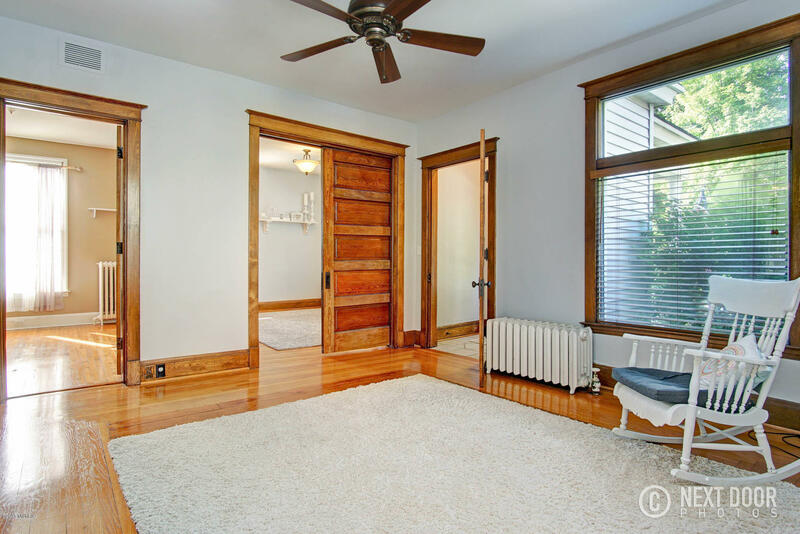 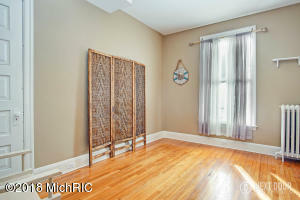 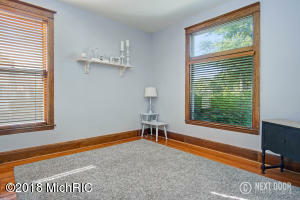 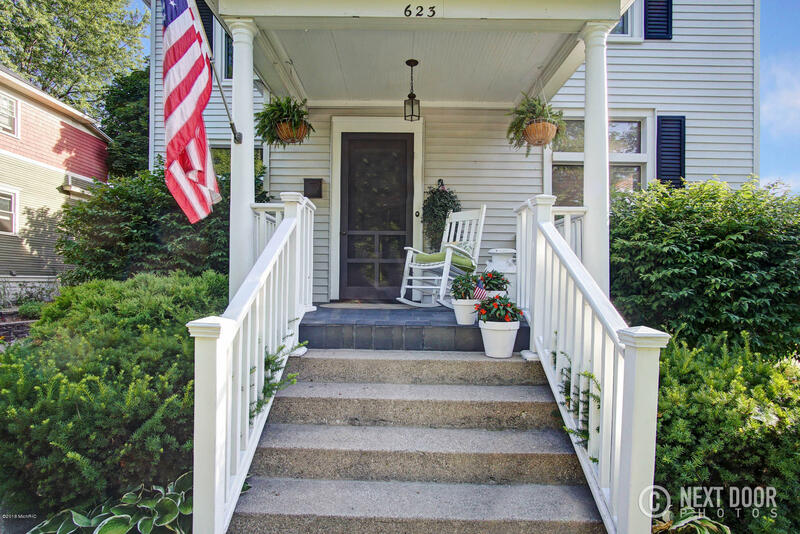 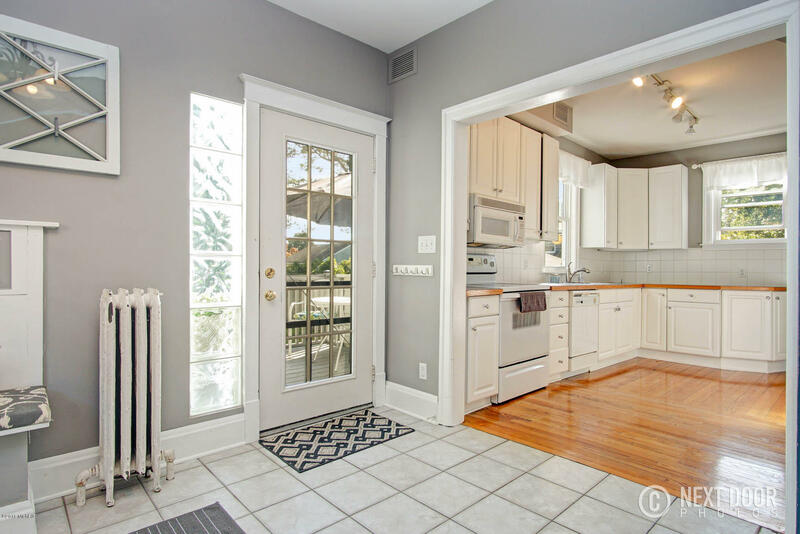 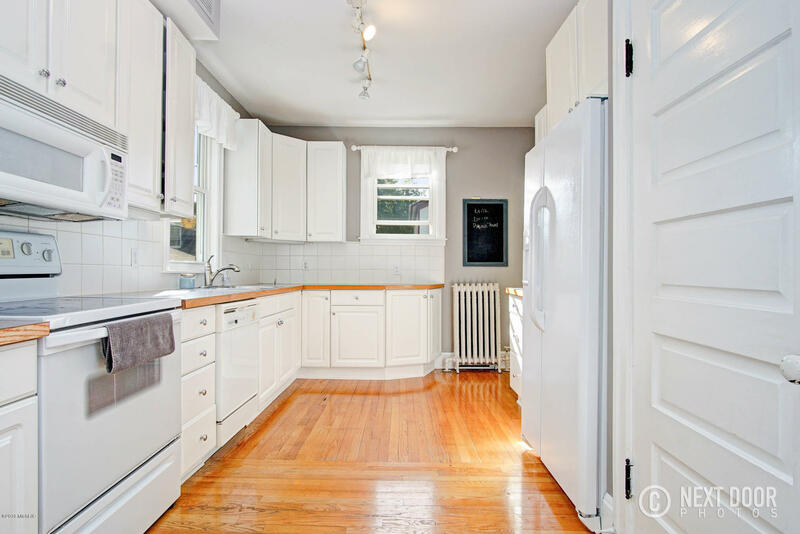 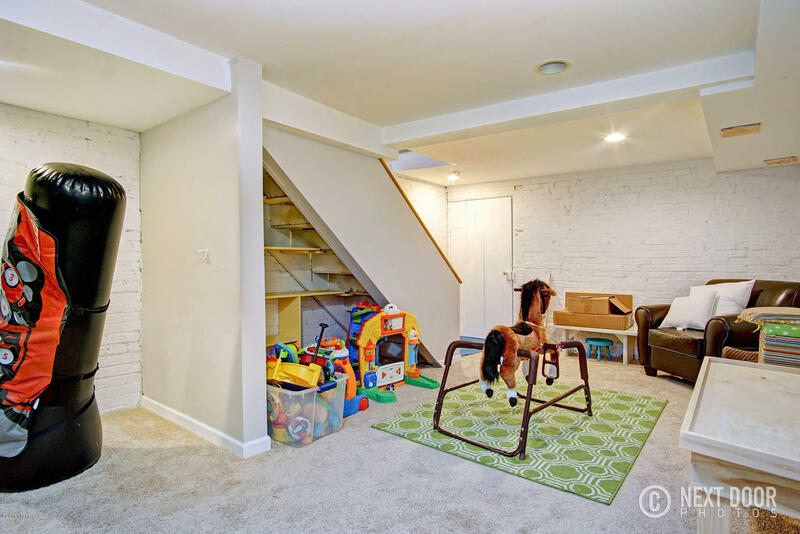 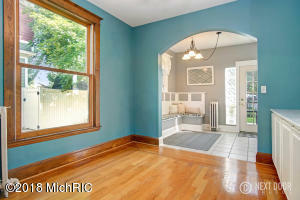 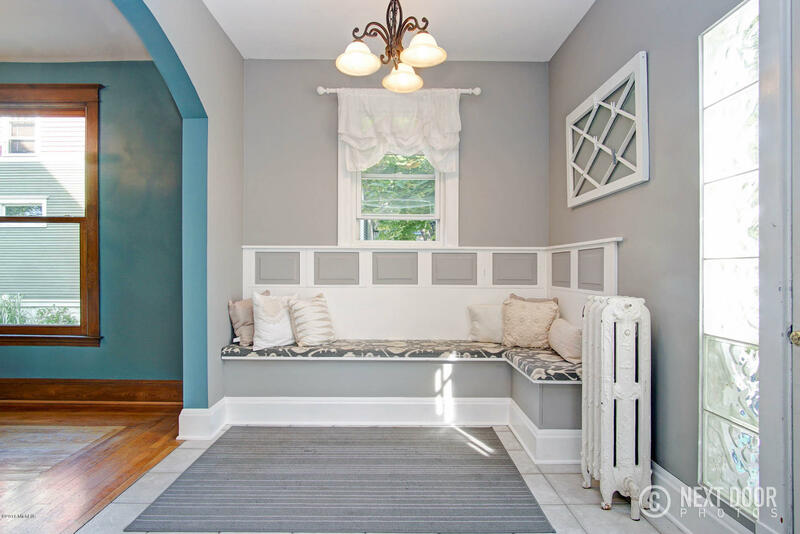 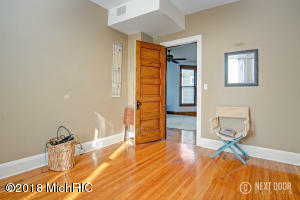 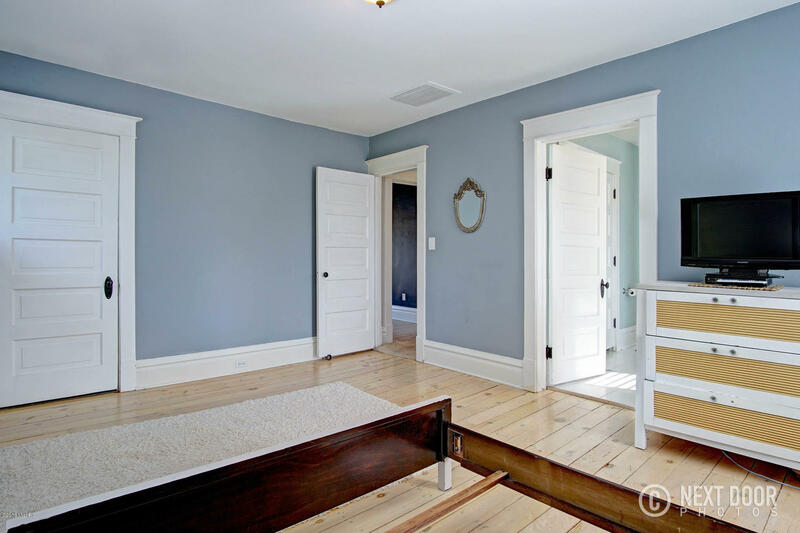 Inside you will find hardwood floors, original woodwork, custom built-ins, and beautiful oak pocket doors. 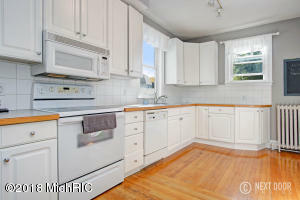 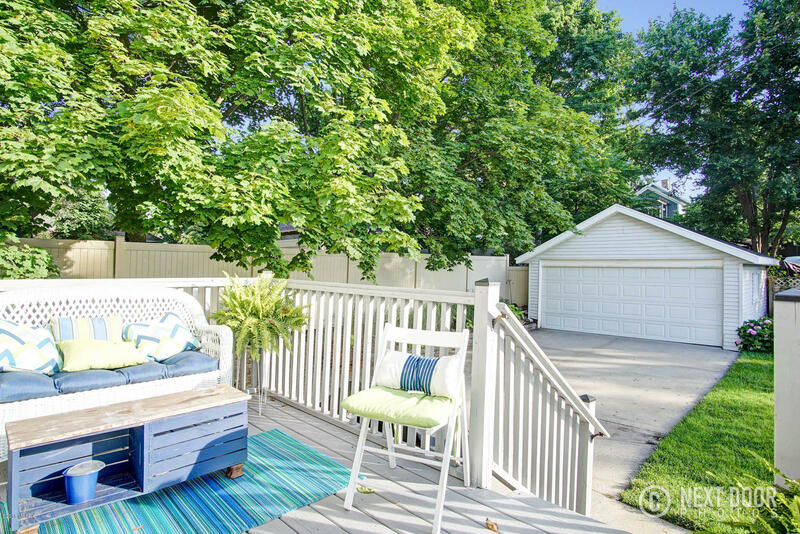 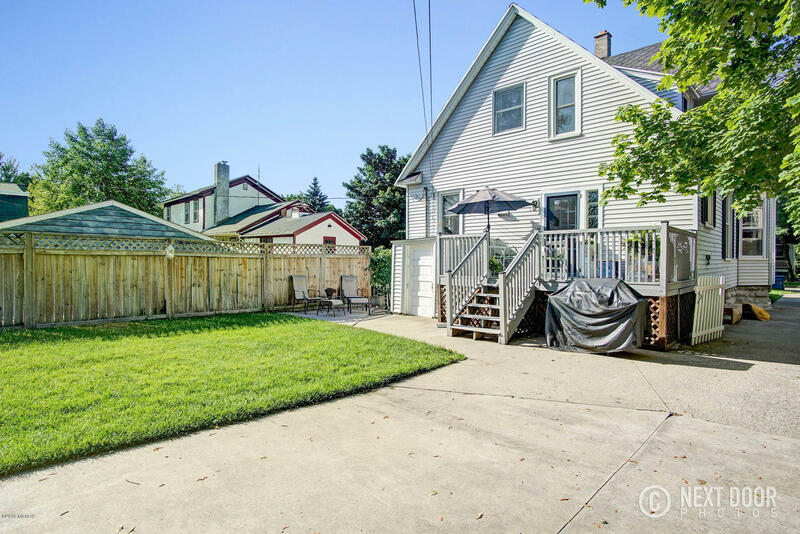 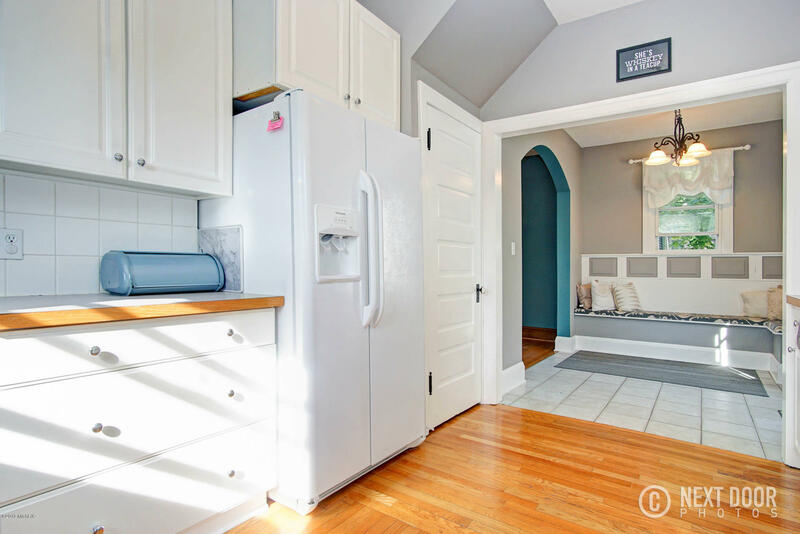 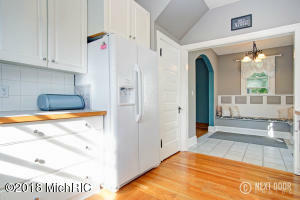 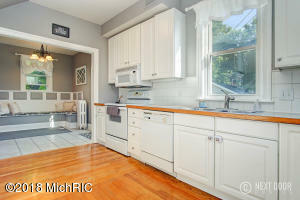 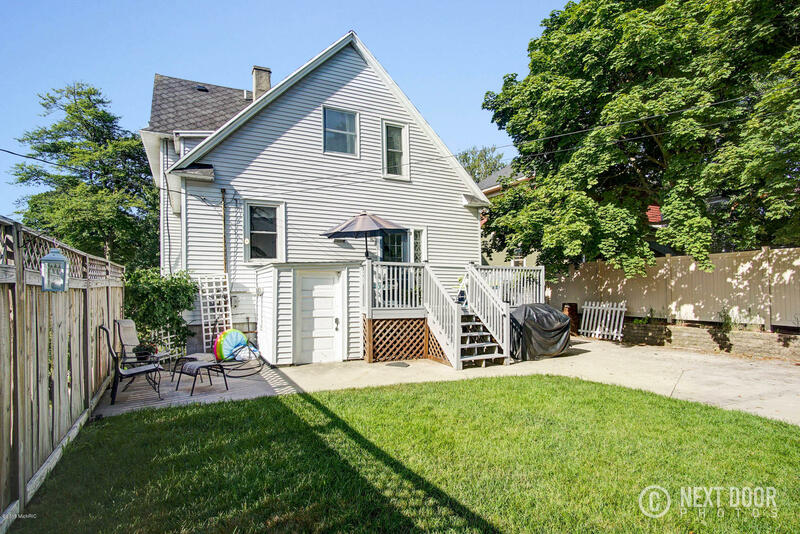 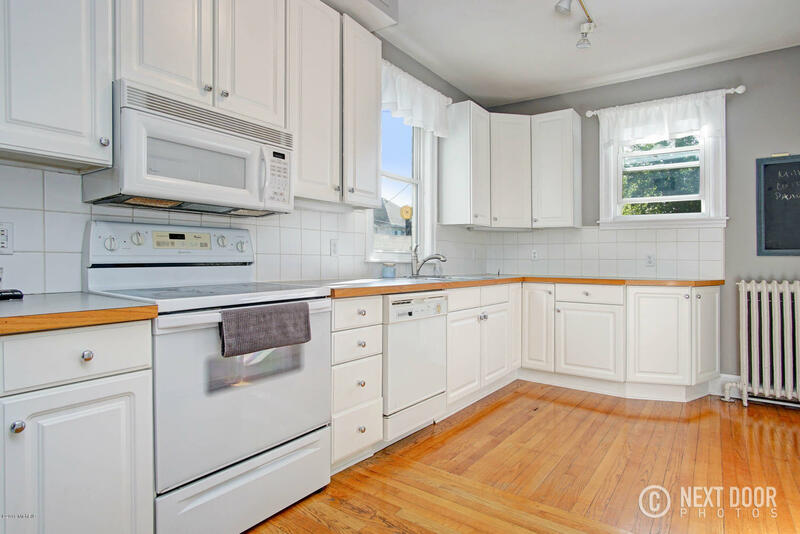 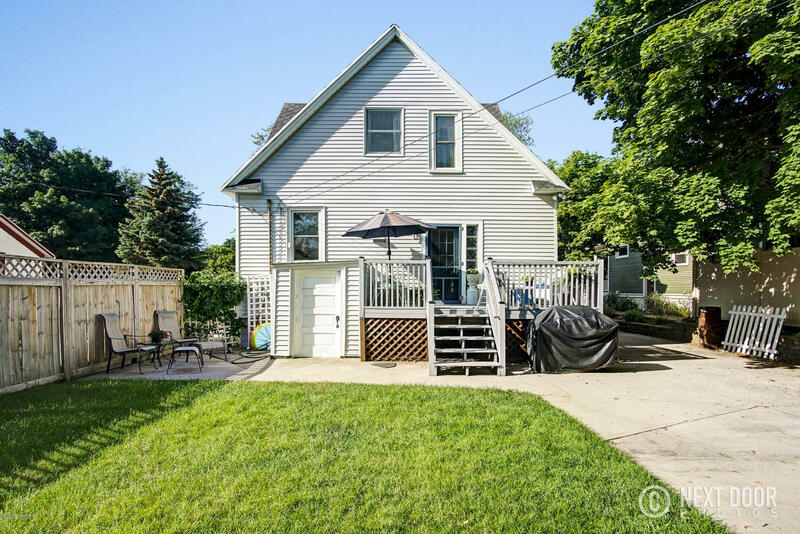 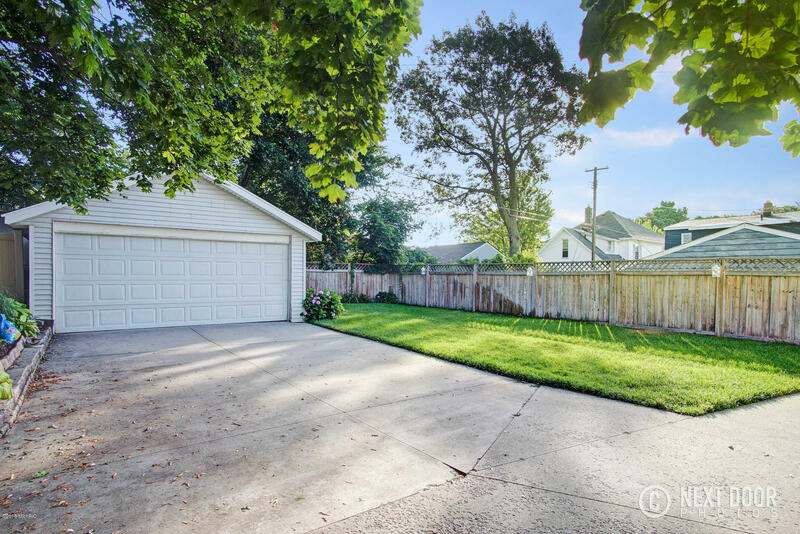 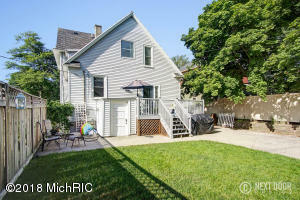 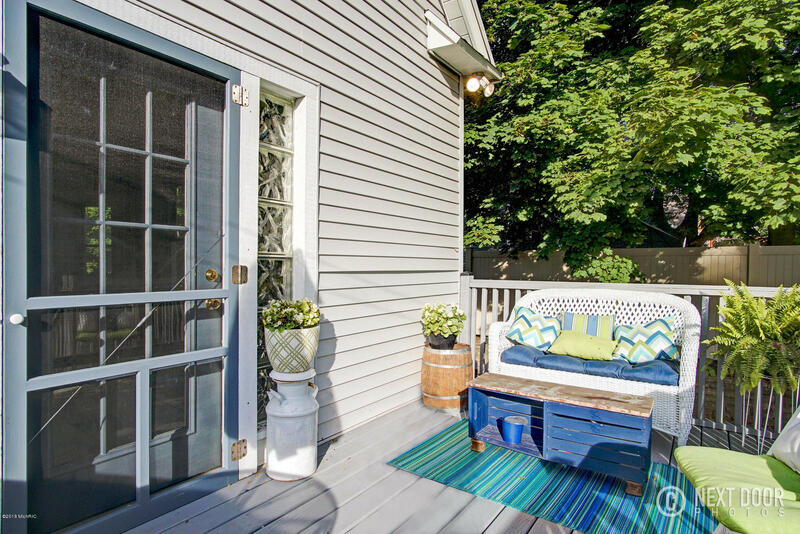 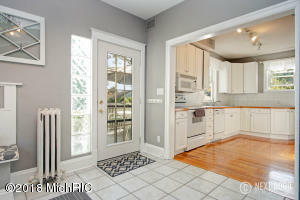 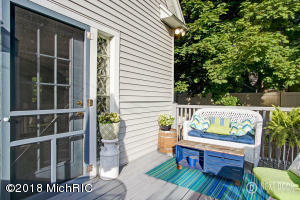 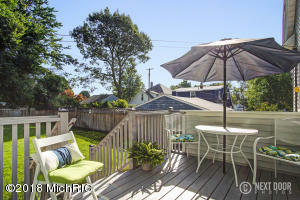 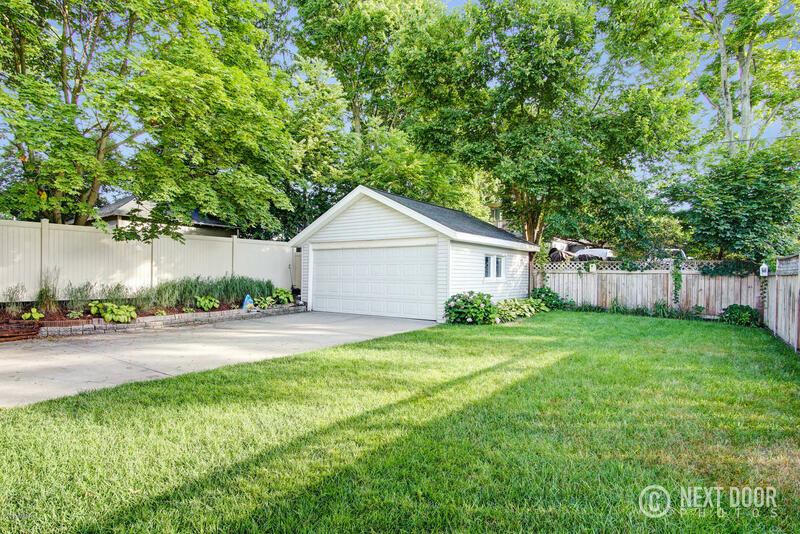 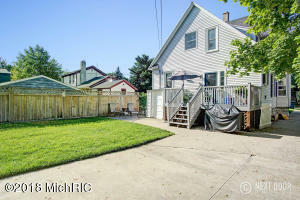 Eat-in kitchen with access to the back sitting deck and fenced in backyard. 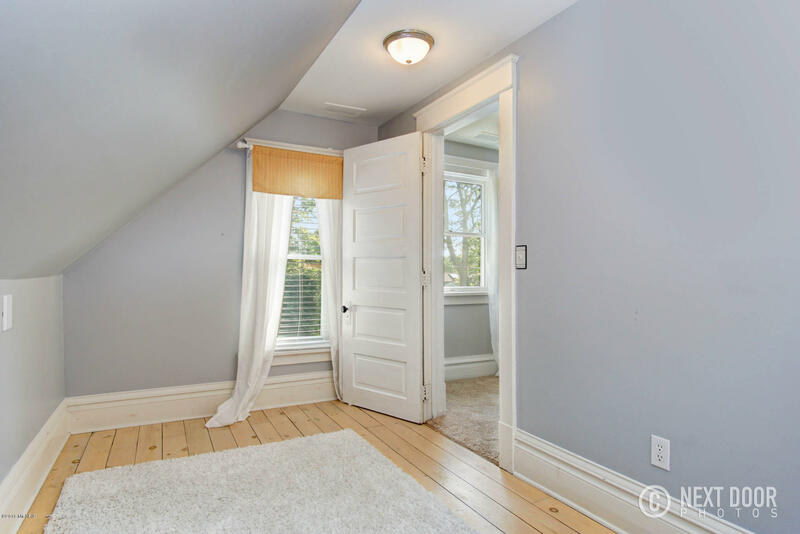 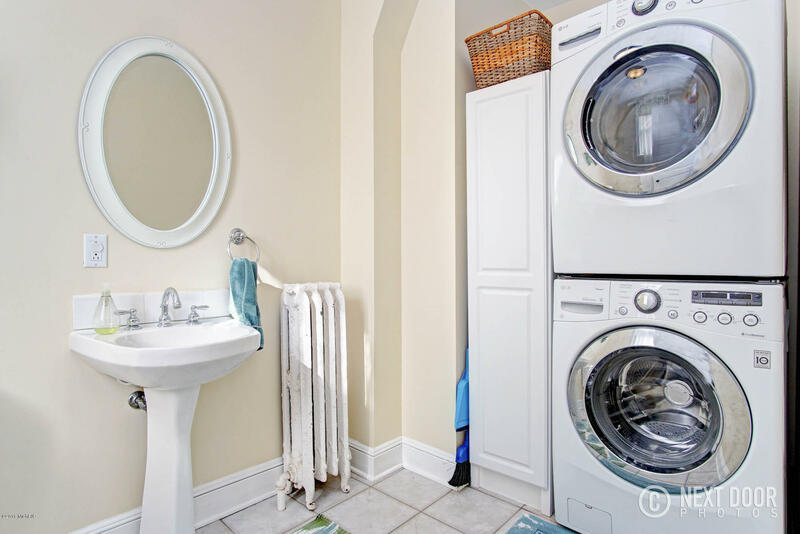 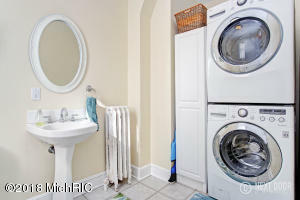 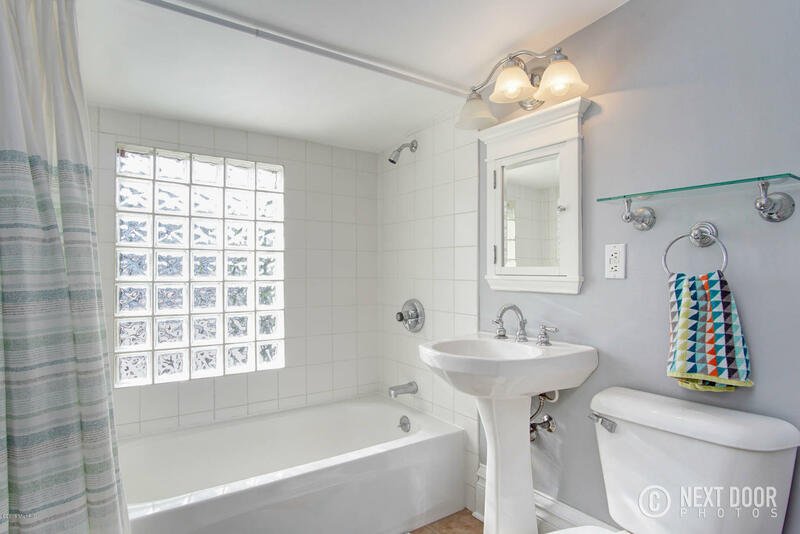 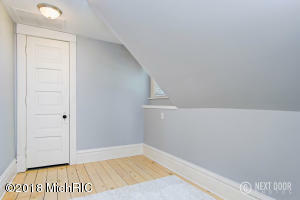 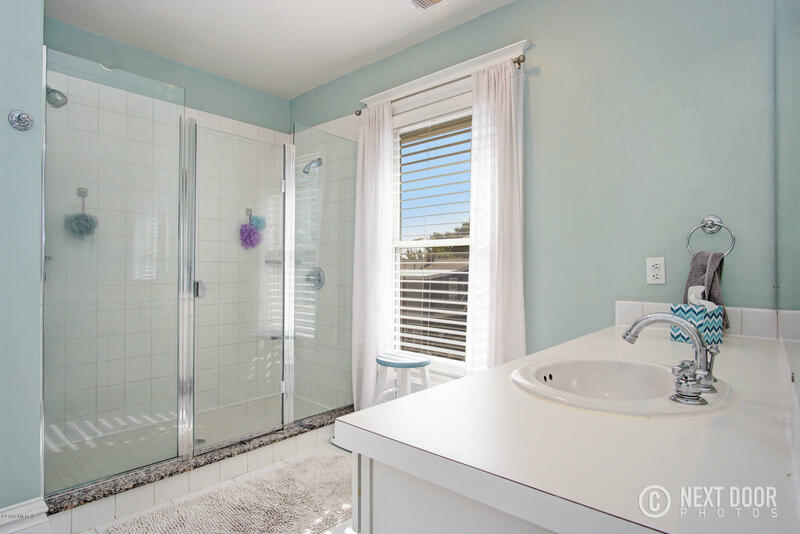 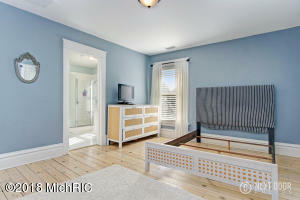 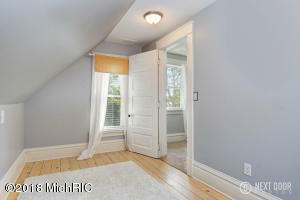 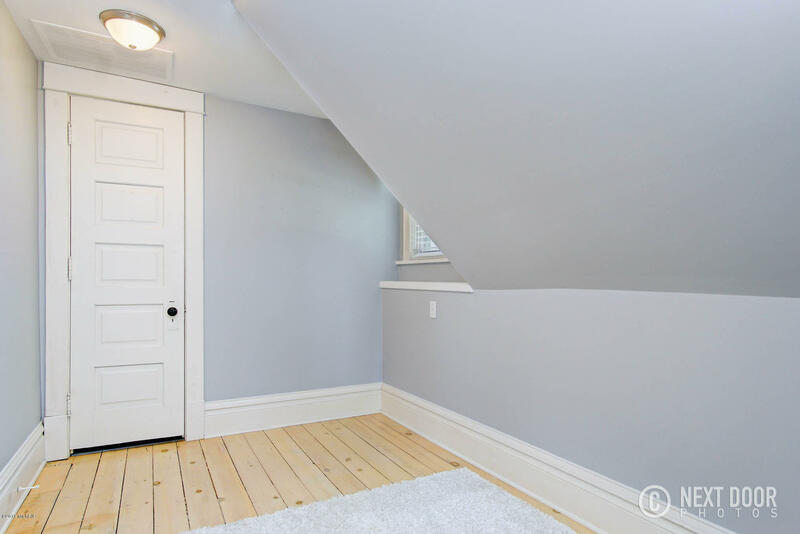 Main floor bedroom, laundry, and half bath add to the appeal of this traditional home. 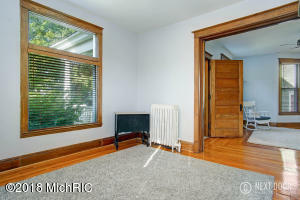 Large windows and plenty of natural light greet you throughout the main floor. 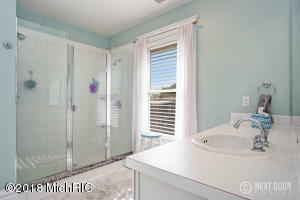 The upper level includes the master suite with spacious bathroom and hard to find closet space. 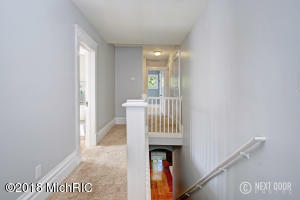 Two additional bedrooms and full bath complete the upper level. 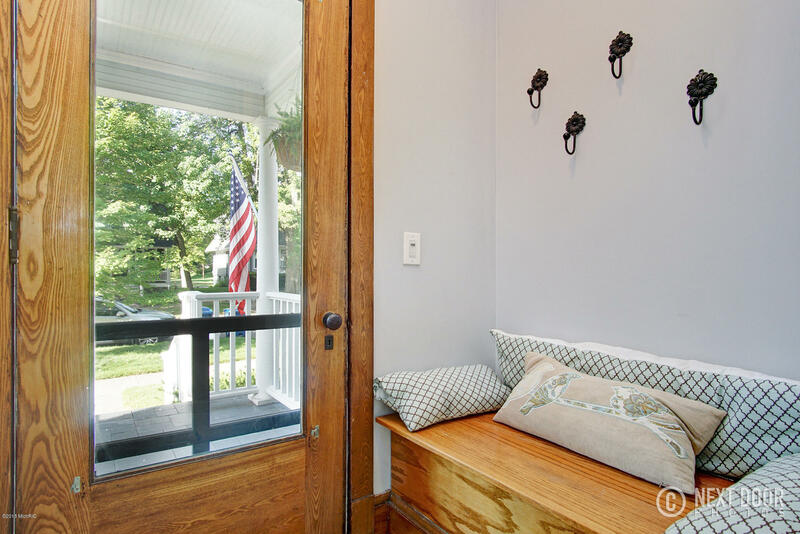 Sit on your front porch and watch the Coast Guard parade go by.